Open any Social Media Network, you will find lots of consumer complaints about there. Further, for every complains you will find the respective brand apologize for it. It seems that Social Media Network has become a complain book now. Everyone, using a hashtag keep posting there complain over there. But have you ever wondered, Why brand apologize for everything? No matter, whether the consumer is right or wrong, it is always a brand who keep on apologizing. Visit any brand page on the twitter and this is what you will find there. Users keep posting their problem on Twitter and brand keep apologizing for the same. But what if a brand is not at the fault? In this case, who should apologize? Just think of a situation where your consumer is at fault? What will be your action plan in that case? My simple question is, Why it is always a brand who keep on apologizing for everything posted on Social Media Network? Just check out the below case and share your views with us. 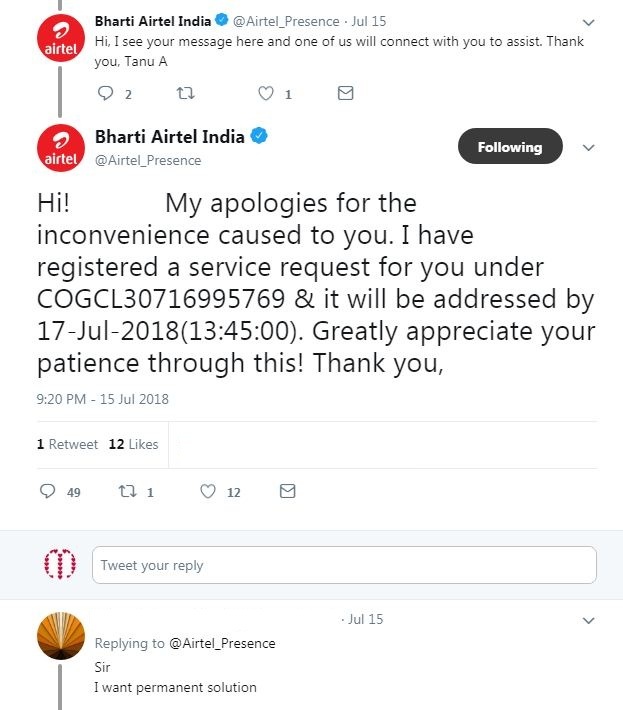 It was 18th June 2018, when a woman tweet a complaint against Telecom giant Bharti Airtel for pathetic digital DTH service. I know you will say, what’s wrong in this? Nowadays, everyone is using Social Media Network for making complaints. But before you make any decision, request you to please read the complete story. 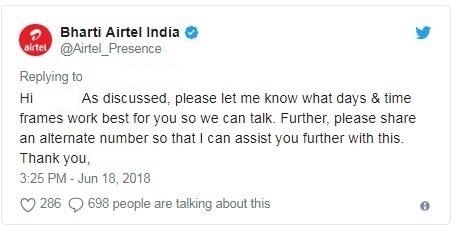 Bharti Airtel India immediately changed the representative and but its the last tweet made the customers enrage. 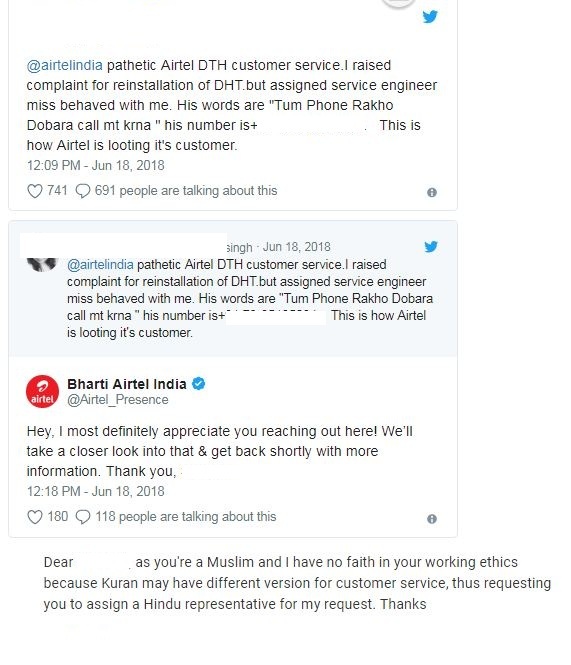 Nine hours later, Bharti Airtel issued a clarification for differentiating between Hindu and Muslim. However, Twitter was not pleased with the reply which was posted nine hours after the customer hate-filled tweets. In no time, these tweets got viral and Twitter got divided. 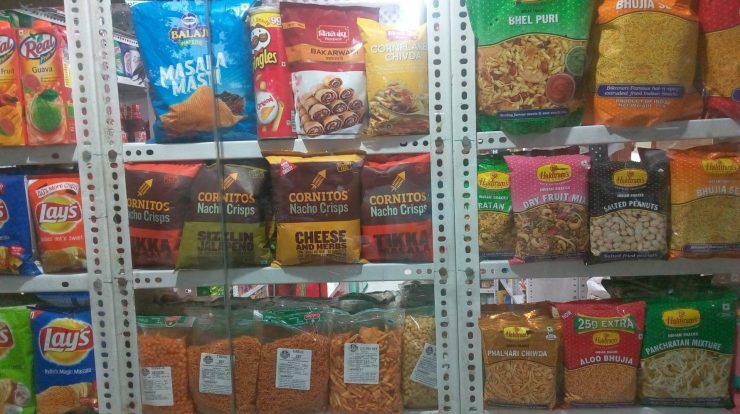 Many enrage customers including former Jammu and Kashmir Chief Minister Omar Abdullah, who said he wouldn’t “pay another penny to the company” are not happy with this decision. They say, Bharti Airtel should not obey this request and should not change its representative. 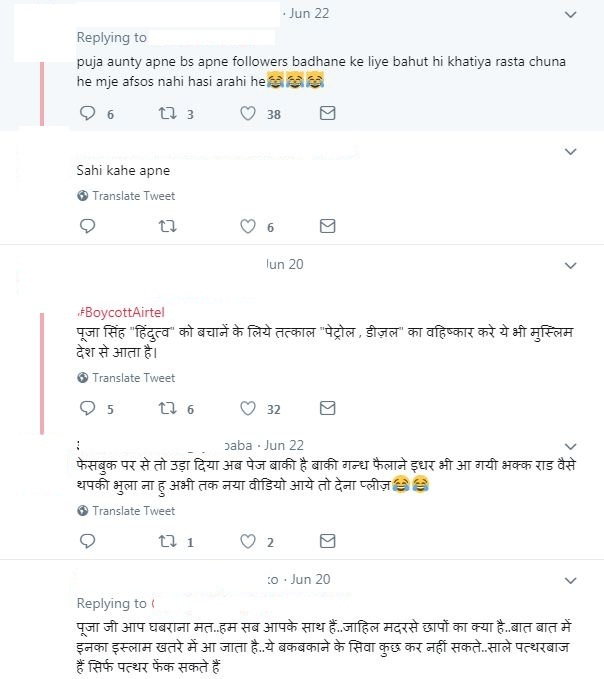 While on another side, the woman gets trolled online on the twitter. The language abused she faced is beyond the imagination. Wait… Before you come to any decision any decision, request you to please read her reply also. The woman recently also uploaded a video on Twitter. This is what she has written while posting a video on Twitter. We are not posting her video here, because our intention is not to troll her. The objective of writing this article is to know ‘Why it is always a brand who need to apologize for everything?‘. If you are there in place of Bharti Airtel, What would have done in this case? Please do not forget to share your views below in comment box.